Get the full flavour of Europe with train travel in 31 countries with this one pass! Austria, Belgium, Bosnia-Herzegovina, Bulgaria, Croatia, Czech Republic, Denmark, Finland, France, FYR Macedonia, Germany, Great Britain, Greece, Hungary, Ireland, Italy, Lithuania, Luxembourg, Montenegro, Netherlands, Norway, Poland, Portugal, Romania, Serbia, Slovakia, Slovenia, Spain, Sweden, Switzerland and Turkey. 1) In order to get the most of the railpass you have to understand the national and international railway tariff, that is, including the SCIC-NRT and SCIC-IRT. I can't imagine average travelers being able to do that - they can't even distinguish between "border station" and "border point" concept and I can't blame them. 2) A great number of trains does require extra supplements, reservations and so on. The situation in France can be very frustrating because the number of seats available for passholders is limited. An average passholder does not know, (s)he can beat the system by simply getting on train and paying the fine (which is less, than the price of the supplement!) or by buying a special reservation a somewhat tricky way (and it costs under 2 Euro). 3) In many countries (East, Central, Southern Europe) the pass in not worth the money. 4) On most night trains there is simply no first class! 5) The service quality in some countries (Hungary is the best example) is horrific. They may not let the passholder in the 1st class lounge... because they want to save money. If they let in, they may search his belongings: maybe he took out a fruit or two or a soda? Austrian 1st class lounge is the best. In general, the over-all value of passes is very low, unless you know exactly, what you are doing. I commuted between France and Hungary for about a year, using global EuRail passes (being a dual citizen with dual driver's licenses helps!). It was worth every Cent - but than, I have several decade experience with European train tickets and have much insider info + speak several local languages fluently. The European railways need to put their act better together - today they are losing to budget airlines in nearly every aspect. Regarding ACPRail: expats will be better off buying from RailEurope (more flexible, more discounts). The shipping costs of ACPRail are great - but that's all. We are very sorry to hear that you did not fully enjoy your experience with the Eurail Pass. Depending on travel schedules and itinerary, the pass can offer some great value. With that said, we've taken note of your concerns with the Eurail Pass and we will provide the feedback to Eurail in hope it can help improve the product in the future. Thanks again for your review. Eurail pass One country flexi pass Italy I bought the 11 days in 2 months pass and it cost €328. It is a waste of money. So per day this pass cost me €29.81. Trips within Italy are much cheaper if you buy them separately, direct at stations and on the day travelling and for my trips all over the country it would have only cost me about €8 per day to travel if that. If you buy individual tickets you can be flexible too. So Eurail make a fortune off travellers from other countries who plan ahead and buy the pass. Eurail lie saying you're getting good value by buying in advance. You are not! You can't use trains starting with FA or FB either (which isn't written on your pass) you need to pay an extra €10 per leg of your trip on top of the €328 for these trains! They don't explain that though and their app shows you can take these trains. So if you are honestly travelling and you've filled in your Eurail info correctly, a ticket inspector will still fine you €18 on the spot. Not worth it. The Eurail First Class global pass was awesome. I traveled on the fly, adjusting my route to suit my mood and local recommendations to where to go for great hiking. I love the convenience of the pass - and all the out-of-the-way places it took me. I'll be getting another one soon. 31 of 36 people found this review helpful. 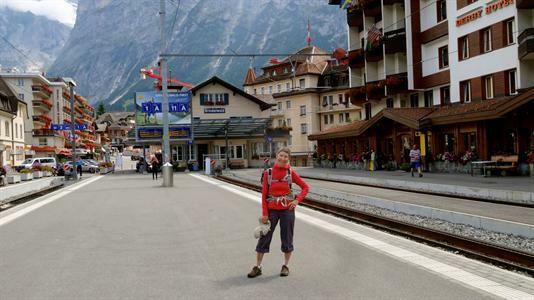 Thoroughly enjoyed my Eurail Global Pass this spring! The first class benefits are so nice! Went to Germany, Belgium, Netherlands, Sweden, and Denmark - some gorgeous scenery outside the window! 31 of 35 people found this review helpful. While studying abroad in England a year ago, a group of students and myself purchased the Eurail pass prior to leaving and used them for travel within continental Europe. It was extremely convenient and easy to use; I would use it again. The routes that the trains took were exceptionally scenic, and train rides were always enjoyable. 53 of 55 people found this review helpful.